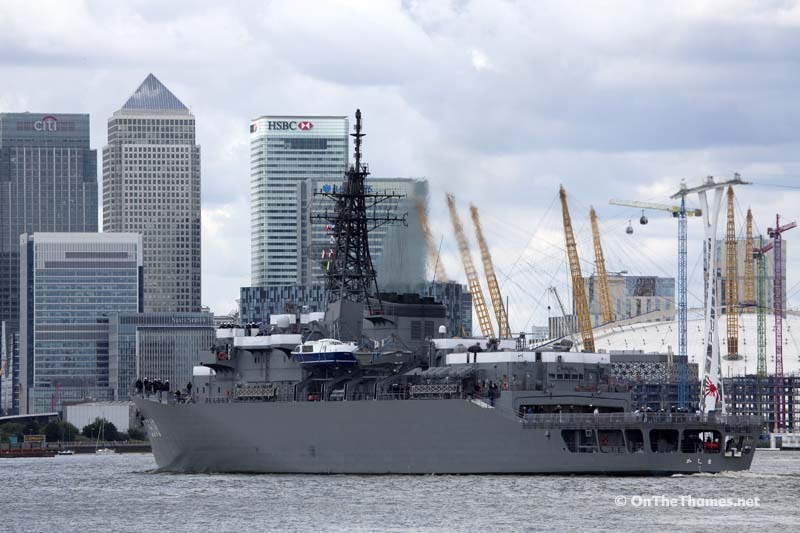 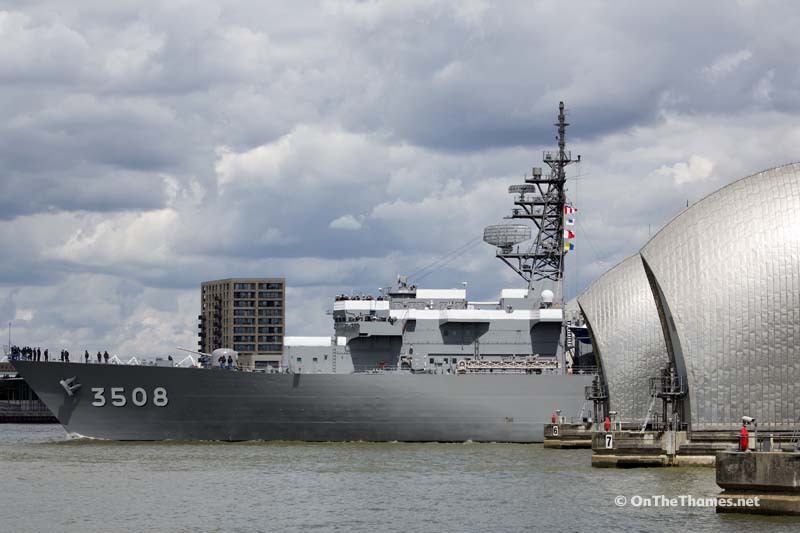 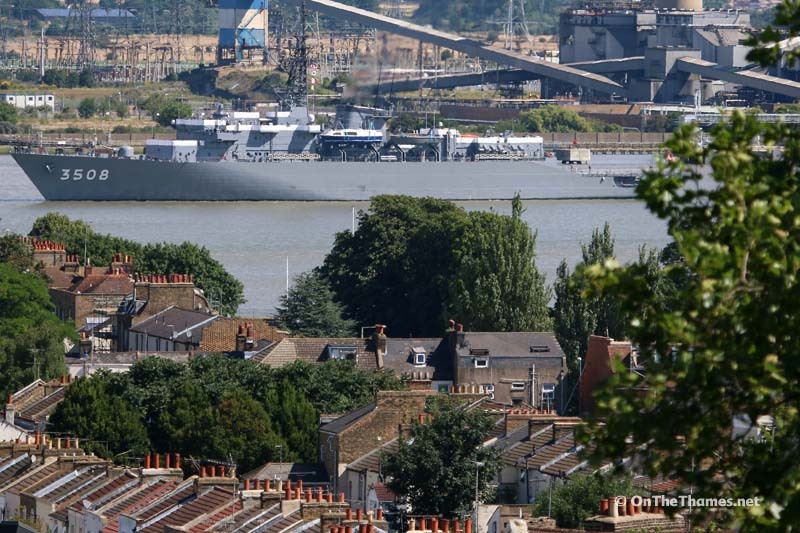 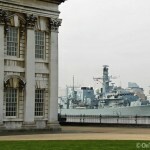 Japanese navy ship Kashima sailed up the River Thames yesterday for a three day visit to the capital. 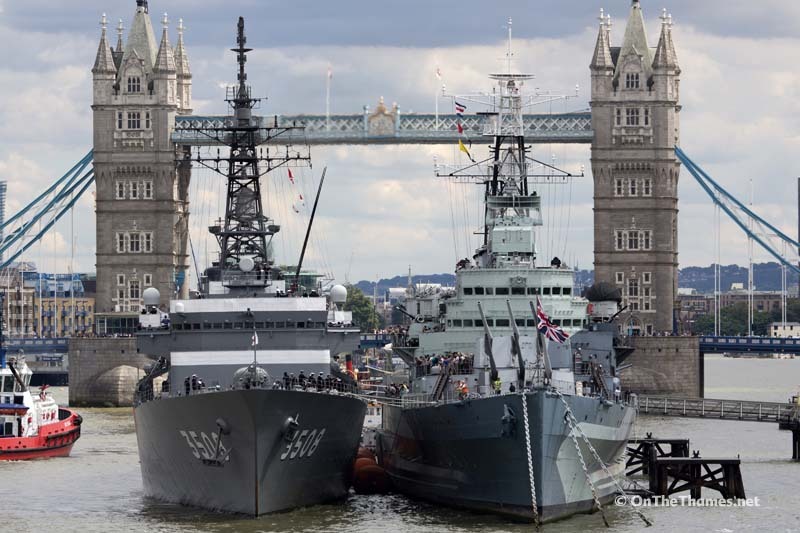 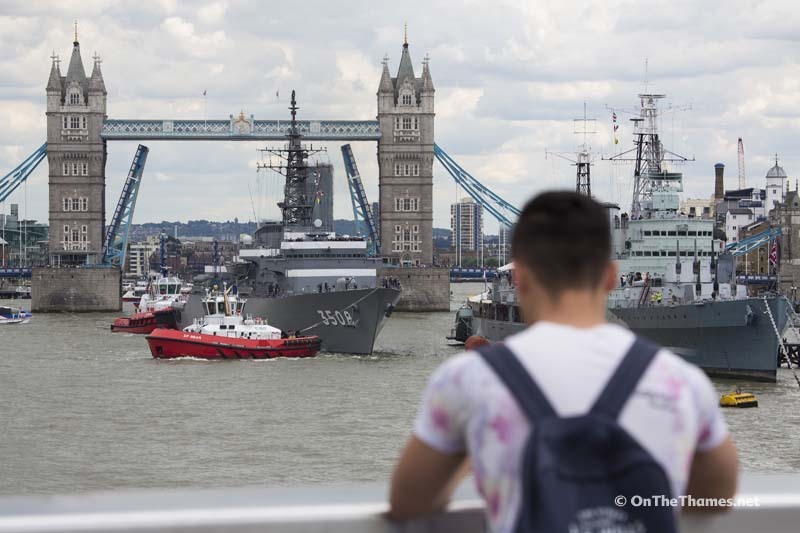 The 143-metre long vessel is the training ship of the Japan Maritime Self-Defense Force (MSDF) and arrived through Tower Bridge shortly after 1pm to moor alongside HMS Belfast. 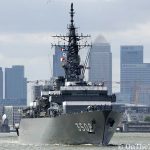 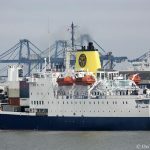 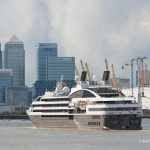 Her arrival in London is the latest port visit for the ship which is on a sixth month training voyage for students from MSDF’s Maritime Officer Candidate School. 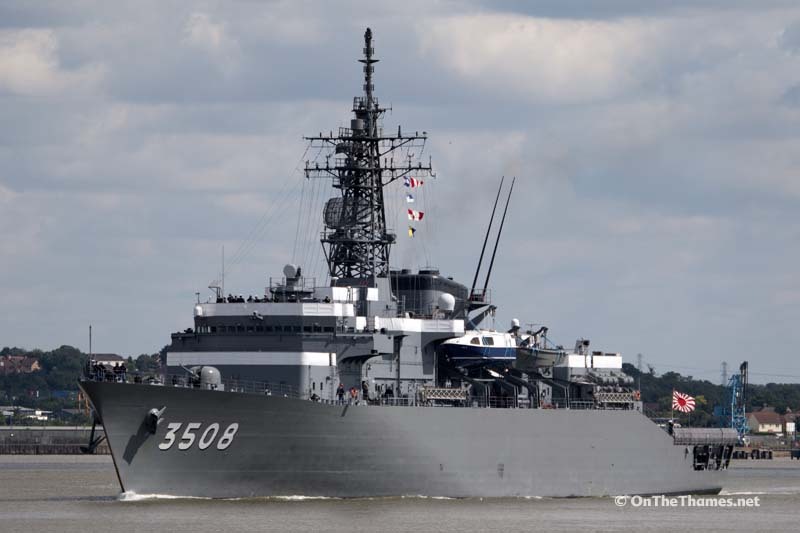 The uniquely-designed Kashima class ship, which was commissioned in 1995, carries a single Otobreda 76 mm gun and two triple 324 mm torpedo tube sets. 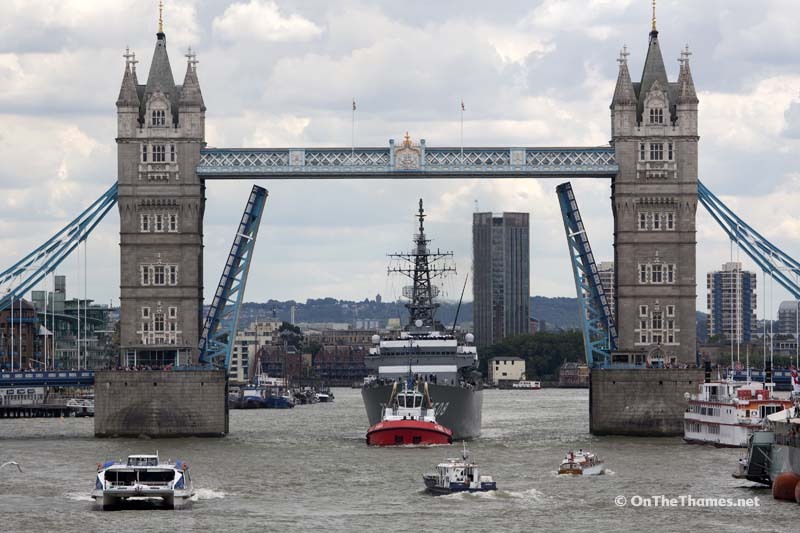 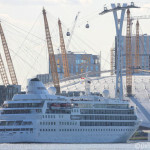 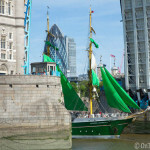 Tower Bridge will left again on Wednesday at 1430 for the departure of the ship. 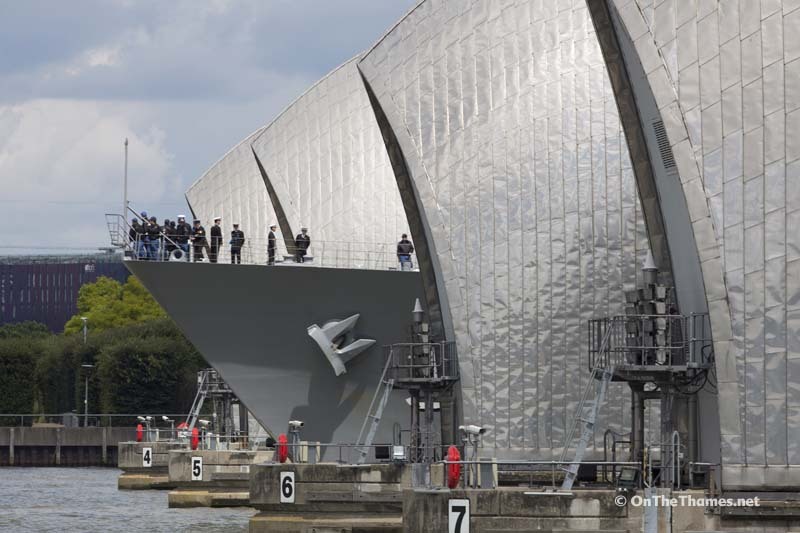 The bow of the ship emerges through the piers of the iconic Thames Barrier. 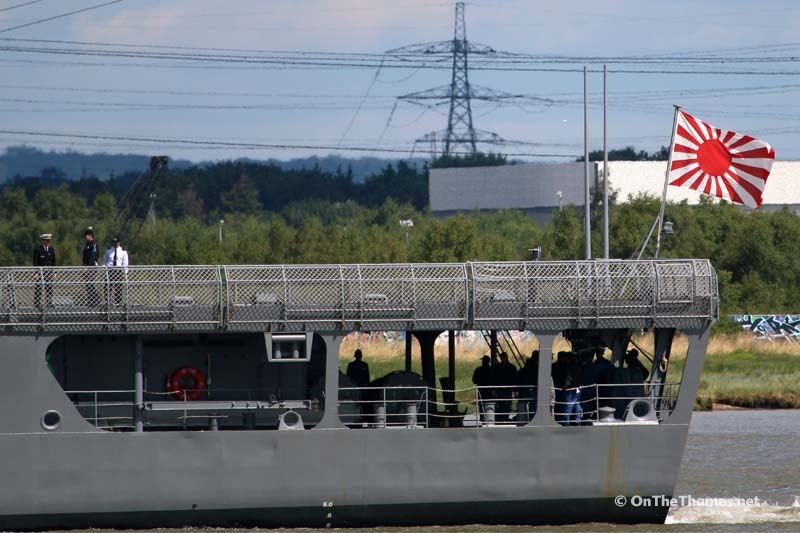 The ship transited through the barrier shortly after midday. 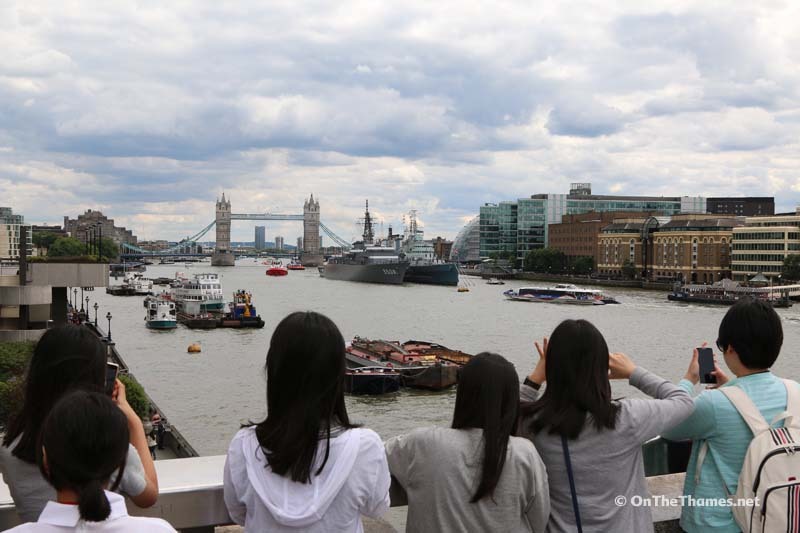 The arrival is of particular interest to Japanese visitors to London. 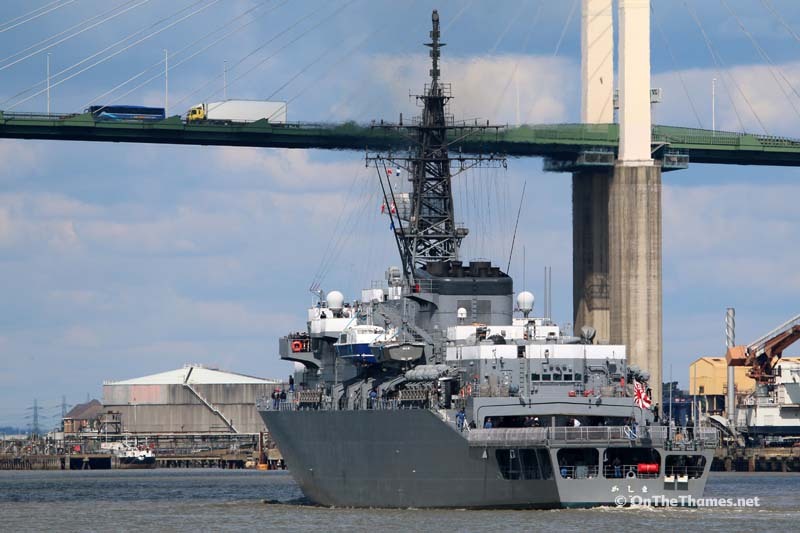 Her along side my old ship the Battling Belf as she was known in the Korean War , we use to tie alongside in Japan on the pontoon in Kure.